Yesterday Facebook released a fabulous new feature that will make life much easier if you have a Facebook Page for your business/blog. You can now create your posts and schedule them to appear at a future date - up to six months in advance! All you have to do is create a post as normal, then click on the little clock in the bottom left corner, click through each component of the date separately - the year, month, date and then time you want it posted. Click on Schedule and it's done. 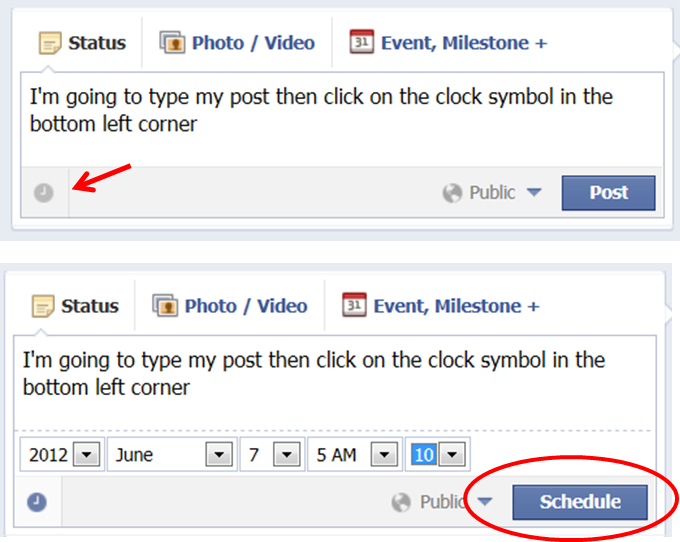 To edit the post, change the scheduled time, or cancel the post you access your Activity Log, from the Manage button in the Admin Panel. To access the Activity Log you must be using Facebook as your personal profile - not on your Page profile.